There will be many questions for the U.S. National Junior Team heading into its gold medal defense at the 2014 World Junior Championship and a lot of them will center around its forward crop. Twenty-four forwards have been invited to the National Junior Evaluation Camp which begins Saturday in Lake Placid, N.Y. They’ll hope to start providing some answers this week. After looking at the defense and goalies yesterday, the forward group presents quite a few challenges. Without age-eligible Alex Galchenyuk returning, it is tough to pinpoint a go-to scorer among the group of 24 forwards. There is, however, a wide variety of skill sets that could make for a well-balanced lineup. Is it a gold-medal crop? Well we won’t know until the season plays out more and more players start to emerge, but there’s at least some intriguing pieces. Coming up after the jump, a look at all 24 forwards invited to the U.S. National Junior Evaluation Camp. This forward group might not be able to match the depth of several previous teams, at least at this point, but there’s going to be a good mix in camp. Riley Barber had a really strong showing at last year’s World Junior Championship playing alongside Alex Galchenyuk and Sean Kuraly, and he’ll be back next year. 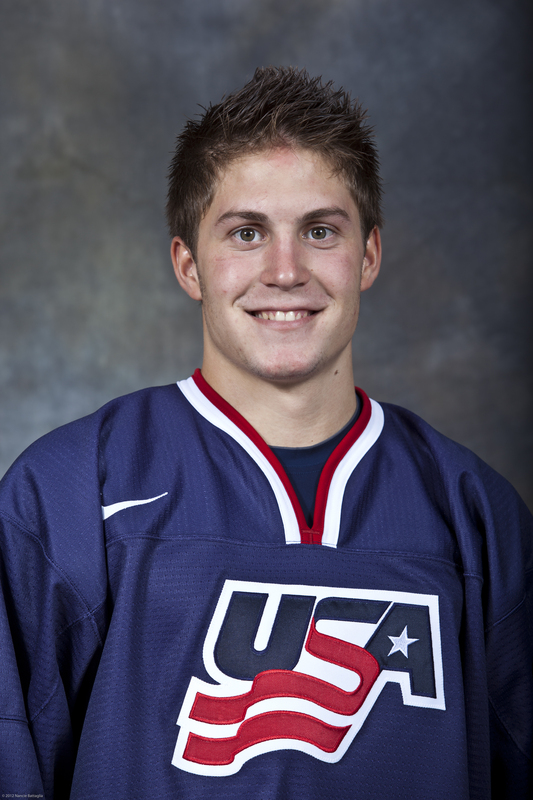 Additionally, Ryan Hartman is eligible to return to the team. He is still recovering from offseason surgery and won’t be able to participate in camp, but expect him to play a large role in Malmo come December. 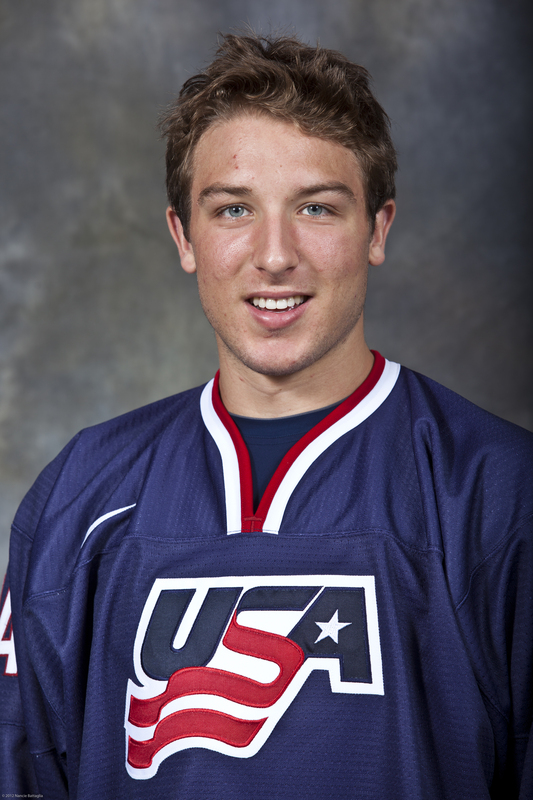 Additionally, Stefan Matteau will be back in camp after he ended up the last forward cut from the team last year at the pre-tournament camp. The Devils first-rounder ended up seeing NHL time, however, and his pro experience could be welcome here assuming he’s cleaned up a few areas of his game. 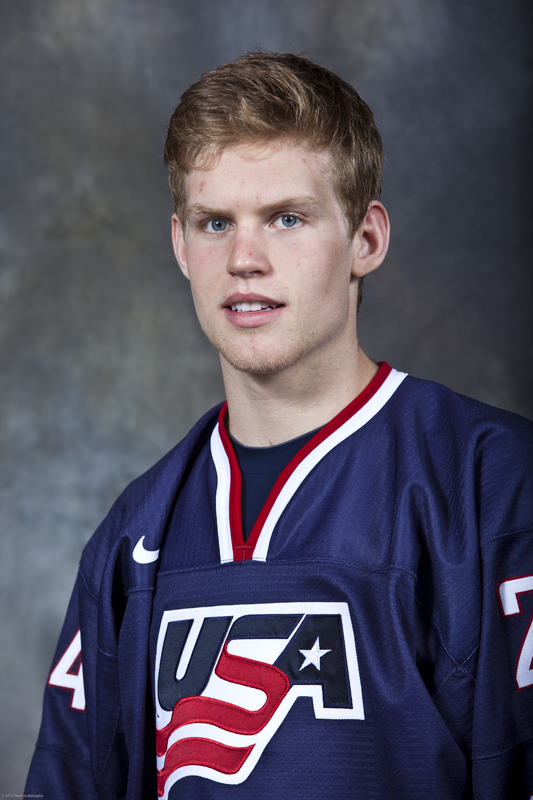 Henrik Samuelsson is another first-rounder in camp, who may have some added motivation to play in this year’s tournament, as he is a dual Swedish-American citizen. 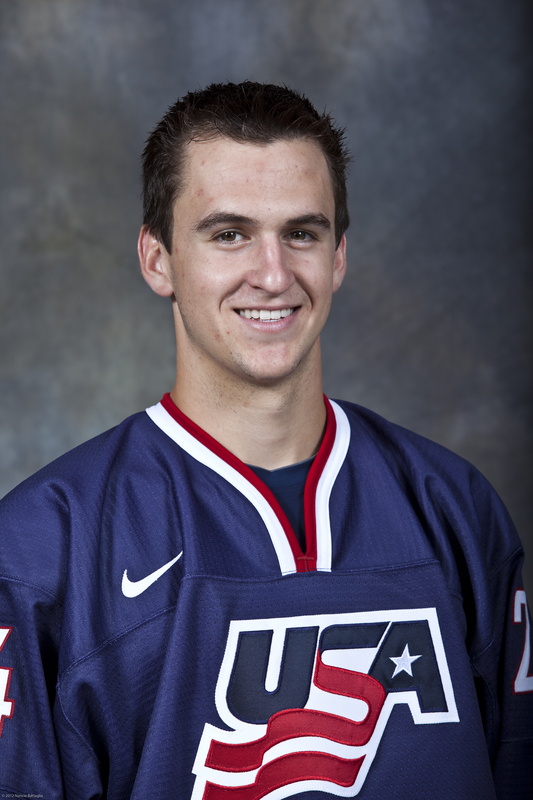 The other first-round forward in Lake Placid is the Montreal Canadiens’ 2013 top pick, Michael McCarron, who should be interesting to watch. This group doesn’t elicit a ton of excitement like last year’s did, but they’ll have a big chance to show what they can do in Lake Placid. NOTE: Players are listed in alphabetical order. Players’ expected 2013-14 team listed in parenthesis. Player’s designated camp team (Blue or White) listed after current team. Draft rights in italics at the end of each capsule. For more on the details of the U.S. National Junior Evaluation Camp including full rosters, schedules and live streaming info, click here. This entry was posted in American Prospects, Junior Hockey, NCAA, NHL Draft, U.S. National Teams, USA Hockey, World Junior Championship. Bookmark the permalink. Tough group of forwards to pick from. This will be an interesting team, depth will be a strength. Hopefully you have the line combos for the games like you did last year (I think?). But that gives at least a little direction as to where the staff sees who fits what role best. I have a weird feeling that Boo Nieves is going to be the Jimmy Vesey of this team, a solid contributor. I think Erne and Barber will be the go-to’s. Just feel like there’s a lot of bottom 6 type players in this group, no real top 6 gifted proven point producer. Should be interesting, thanks for the info, always enjoy reading it. Nice article. Hope I can get up to Lake Placid to check this out. Agree with everything you said on Cammarata – really have to see him play in person.